The Sámi are the only indigenous people within the European Union area. Sápmi, the region the Sámi inhabit across four countries, consists of northern parts of Finland, almost half of Sweden and Norway, as well as parts of the Kola Peninsula in Russia. 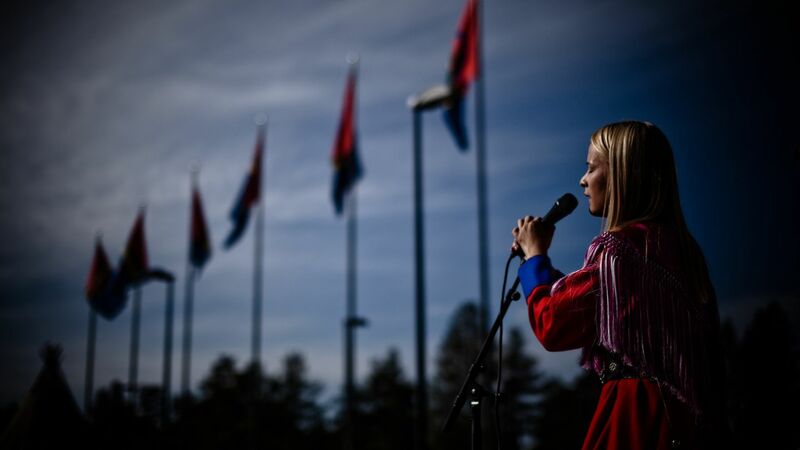 Out of the ten Sámi languages, nine are still spoken. Three of these are spoken in Finland: North Sámi, Inari Sámi and Skolt Sámi. Sámi culture includes their language, cultural heritage and cultural expressions, Sámi art, traditional knowledge of the Sámi, traditional livelihoods and the modern ways of practicing them, as well as other cultural traditions and manifestations practiced by the Sámi as indigenous people. For example, the Sámi language, stories, music, as well as the most visible symbols of the Sámi culture – Sámi outfits and handicrafts – are essentially intertwined with, among other things, traditional Sámi livelihoods. 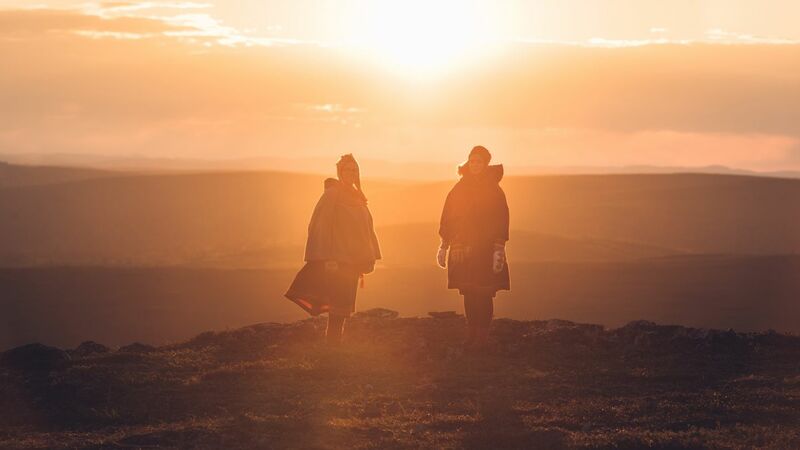 Together they form an inseparable holistic whole in which every element of the Sámi culture needs the others to remain viable in order to develop and transmit to future generations. The traditional Sámi livelihoods are fishing, gathering, handicrafts, hunting and reindeer herding and the modern ways of practicing them. Out of the traditional livelihoods, reindeer herding still functions as one of the cornerstones of the Sámi culture, offering both a language arena as well as material for, among others, clothing, Sámi handicrafts and food culture. Ever since the development of reindeer herding, reindeer has been an important form of transportation. Today, tourists can experience the traditional form of transportation in the form of reindeer sleigh rides in winter time. Please respect the Sámi people and their culture. The Sámi who are not at service of the tourism sector do not wear Sámi outfits for tourists. Allow the Sámi to maintain and transmit their culture to future generations without the negative effects of tourism. Hence, please ask for permission before you photograph people, whether by camera, mobile phone or other equipment. Please behave how you’d wish people visiting your home to behave. In the Sámi homeland, you are always in someone’s home, whether literally standing in their front yard or alternatively in their ‘backyard’. Even though there are not necessarily visible traces in nature showing that someone has been in a certain location, every place in the Sámi homeland has a meaning for the Sámi people, a Sámi name and culture-bound seasonal use. Please respect nature and leave no traces. Roaming in nature always means responsibility that must happen on nature’s terms. Everything you are able to carry to nature, you are able to carry back. Please leave the environment in the condition it was before your arrival. Please use marked trails when available. This way, future generations also have the opportunity to experience and enjoy clean nature. Local people’s yards are rarely surrounded by fences. Nonetheless, they are protected by law and entering and/or crossing them without the permission of the owner is considered trespassing and an invasion of domestic privacy. The fenced enclosures that have reindeer in them and are situated in the vicinity of private yards are also protected by law. So please do not trespass without the permission from the owner. The exceptions are reindeer in fences that are specifically designated for tourist purposes. However, permission to enter these areas also has to be properly granted each time you approach the fences and/or reindeer. Furthermore, please do not feed the reindeer unless their owner gives you permission. Please follow all other instructions given to you by the reindeer herders regarding their animals. Reindeer are owned by private persons. According to the law, one is not allowed to disturb or frighten reindeer in any possible manner. Freely grazing reindeer in nature are semi-wild animals. Hence, please do not approach or startle the animal, for example, by trying to photograph it.